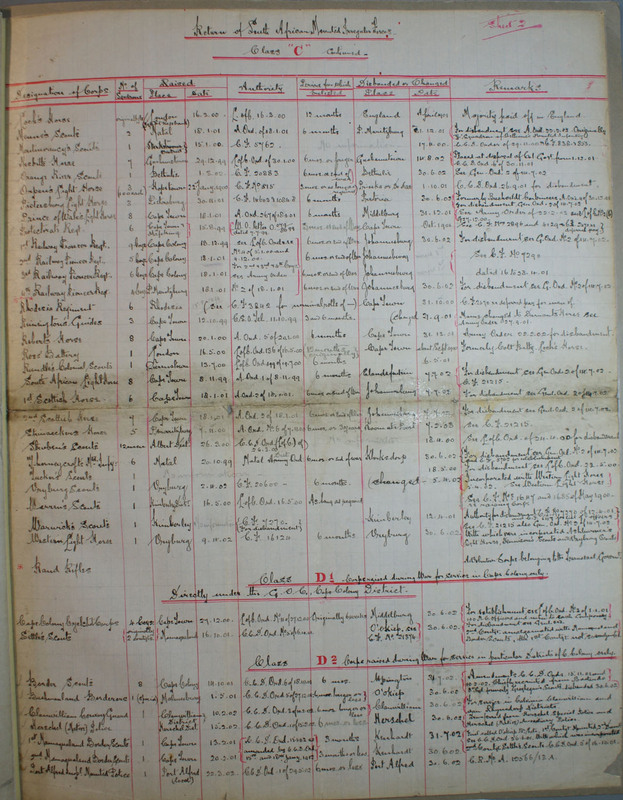 Two pages from the National Archives providing useful information (size, when raised, enlistment period, disbandment and notes) on the SAMIF. 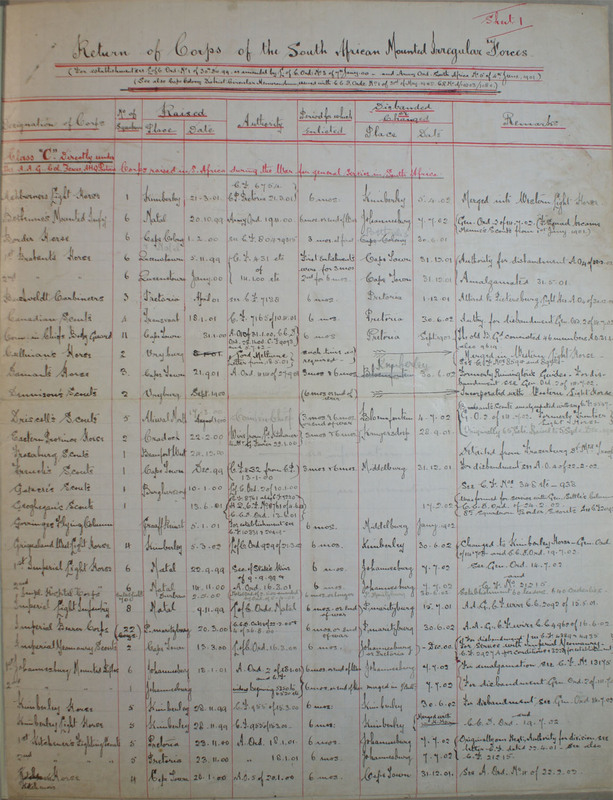 I notice that the Uitenhage Volunteer Rifles do not appear in this list. Can anyone tell me when they were called for service in the Second Boer War and when they were withdrawn?